Belly Fat can kill you! Now that I have your attention! Abdominal fat is a huge issue, seriously. The National Institute for Health states that women with a waistline larger than 35 inches, have a greater risk of heart disease and diabetes. Having a flatter tummy is not vanity, it is a matter of life and death! So what shape are you in? Pear? Apple? The fat in your middle makes toxins that affect the way your body works. Among them are chemicals called cytokines which cause inflammation. We already know about inflammation- cellulite! Tissue inflammation can lead to certain cancers. 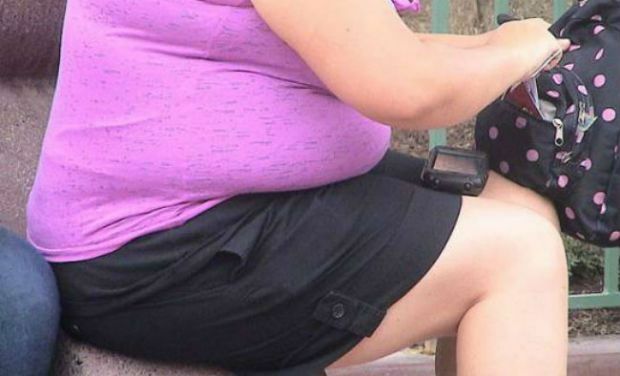 Researchers at the American Cancer Society say that scientists have uncovered links between belly fat and cancers of the colon, esophagus, and pancreas. Aging also plays a role. Muscle mass diminishes with age, while fat increases. Loss of muscle mass also decreases how quickly your body uses calories, which can make it more challenging to maintain a healthy weight. Many women notice an increase in belly fat as they get older — even if they aren’t gaining weight. According to medical science, decreasing levels of estrogen appears to influence where fat is distributed in the body. For women, that is the midsection. Have fat, will travel! Take a look right now. How’s it looking down there?